Fender's real electric guitar that doubles as a Rock Band 3 controller is coming next year, according to the guitar maker. You'll get your hands on the Squier Stratocaster controller in March 2011... if you can pony up the cash. The price for the Squier controller is an impressive $279.99 USD, according to the company's official web site. Pre-orders for the expert-class controller open January 1, 2011, with the Stratocaster shipping March 1. A new video at the official Fender site shows off just how the thing works. Peripheral maker Mad Catz has already released the Rock Band 3 Wireless Fender Mustang Pro-Guitar Controller, an option that features 102 buttons on the guitar neck and six string sensors. It lists for $149.99 USD. Rock Band 3 competitor Power Gig: Rise of the SixString was released earlier this month with its own guitar/controller combo. Here's what we thought of that effort. 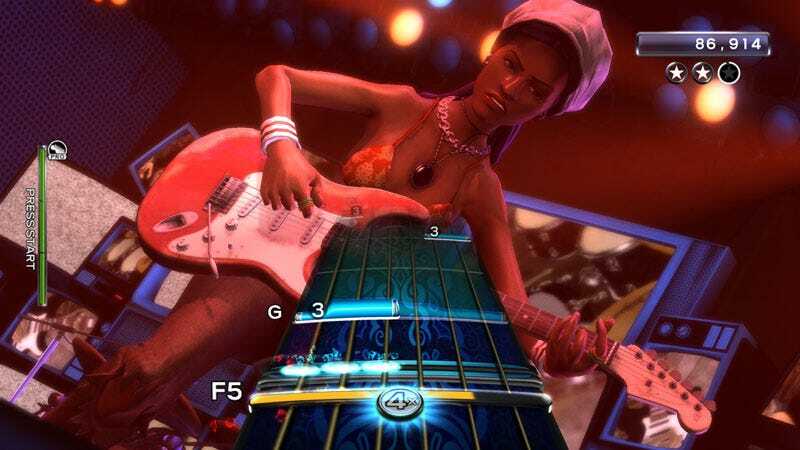 If you're looking for a new way to challenge yourself in Rock Band 3, the Squier Stratocaster controller may be your best bet — especially if you're serious about actually playing music with the thing.